China has blocked access to some Web sites, including Twitter, the micro-blogging site, Hotmail's e-mail service and the photo-sharing site Flickr, ahead of the 20th anniversary of the bloody Tiananmen Square protests, according to news reports. Pro-democracy protestors met Chinese military tanks in Beijing's Tiananmen Square on June 4, 1989. The exact death toll of the crackdown was never released by the Chinese government. 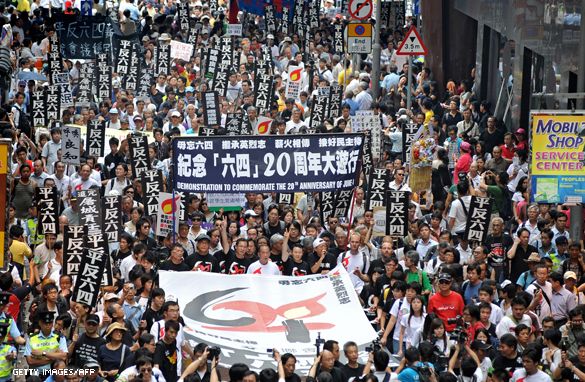 The photo above shows a 20-year-anniversary remembrance of the massacre in Hong Kong this week. Indignant users filled chatrooms with protest, after access to Twitter was denied shortly after 5:00 pm (0900 GMT) on Tuesday. 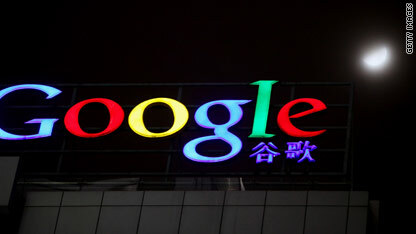 "The whole Twitter community in China has been exploding with it," said Beijing-based technology commentator Kaiser Kuo. "It's just part of life here. If anything surprises me, it's that it took them so long." While most Chinese internet users rely on domestic services which are heavily monitored and controlled, Twitter had become hugely popular among an urban elite. They used the site to share information on sensitive issues in recent months, such as the fire at the Chinese state television complex in February. Some had also referred to the coming anniversary. While people could not access twitter.com this evening, some users were still able to tweet – sending their complaints about the ban. Follow the conversation about China's Web-site bans on Twitter by seaching for "China Blocks Twitter." And read more about China and its Internet policies in a CNN special report. China's third manned spaceship has successfully entered orbit on a three-day mission, which will include China’s first spacewalk and the release of a small monitoring satellite. Secrecy surrounded which of the three taikonauts would take China’s first step into space until Friday. However, authorities did release a photo of Zhai Zhigang, the Shenzhou VII mission's commander, putting on the “Feitian” spacesuit tailored for the spacewalk. The spacewalk is expected to last about 30 minutes early Saturday morning U.S. time. The spacewalker's assignment is to retrieve a solid lubricant sample attached to the spaceship surface. The spacewalk will also be a rehearsal for China's future plans to build a space station. After the spacewalk, an 88-pound (40-kilogram) satellite will be released to accompany the orbiting spaceship. Equipped with a CCD (charge-coupled device) 3D camera, the satellite will make a visual record of the voyage, transmitting the pictures to the ground control room. When the re-entry module heads back to Earth, the satellite and an orbital module will continue to circle the planet. There is speculation that the satellite’s may be able to “attack and capture” other satellites. That ability does not appear in any of its official descriptions. 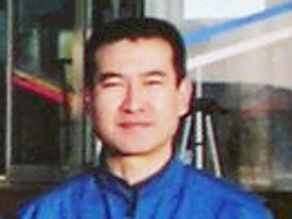 Lu Jinrong, the engineer general at the Jiuquan Satellite Launch Center, denied the speculation firmly. “The satellite will serve as a medium only,” he said. The Shenzou VII sports a few advances not seen in the previous five decades of manned space flight, including advanced designs in spacesuits, and even the spacecraft's toilet. The “Feitian” (Fly to the sky) suit is touted as being more flexible than Russian spacesuits. It's the latest in a year full of triumphs and tragedies for the Chinese people: Record winter snowstorms, a massive earthquake in Sichuan in May, the Olympics, the scandal over tainted infant formula, and now a trip to space that's part of a national target to put a taikonaut on the moon by the year 2020. China has said there are no plans for additional manned missions in the near future. The first manned flight took place in 2003.